Welcome to the Cobblestone Inn & Suites in St Marys, Pennsylvania. Our beautiful hotel is conveniently located near everything that St Marys, Pennsylvania has to offer including Elk Regional Hospital, St. Marys Municipal Airport, St. Joseph’s Convent, the Benedictine Priests, and more. Our hotel provides easy access for traveling to and from Pennsylvania Highway 120 and Pennsylvania Highway 255. Located north of Interstate 80, our hotel is within 120 miles of Pittsburgh, Pennsylvania. In town for business? 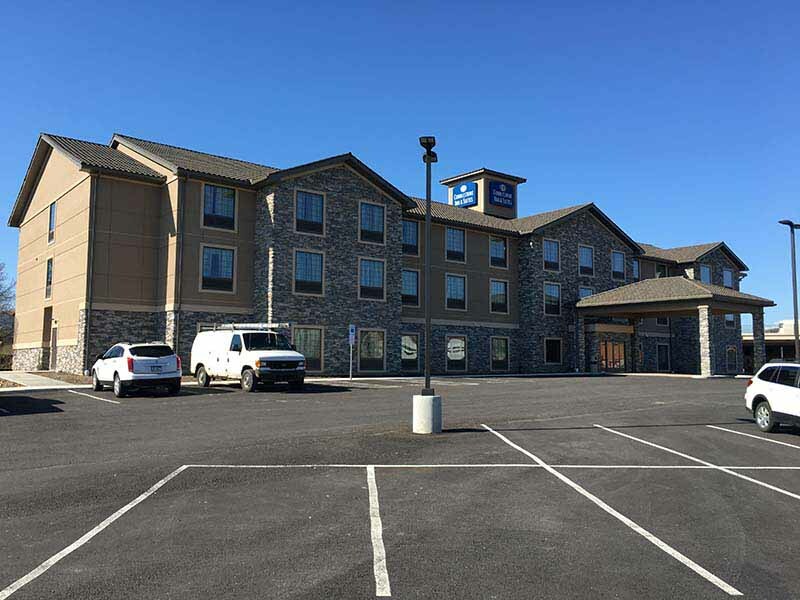 The Cobblestone Inn & Suites in St Marys, Pennsylvania offers easy access to St Marys Carbon Company, St Marys Box Company, Abbott Energy Systems, Metco Industries, Kevro PCI, Fastenal, Sylvania, Contact Technologies Inc., Comtec Manufacturing, and much more! In town for some fun? Check out The Straub Brewery, the Allegheny National Forest, the Clarion River, McClain’s Lazy River Canoe Rentals, Bavarian Hills Country Club, St. Marys Country Club, the Apollo Theatre, the Station Inn, Rick’s Dough Boys, Don’s Pizza, Fox’s Pizza Den, Green Jade, Lee’s Garden, Chinamerica Palace, Hoss’s Steak & Sea House, Tablespoons Cafe, Marienstadt Public House, Salsa’s Mexican Grill, and more.